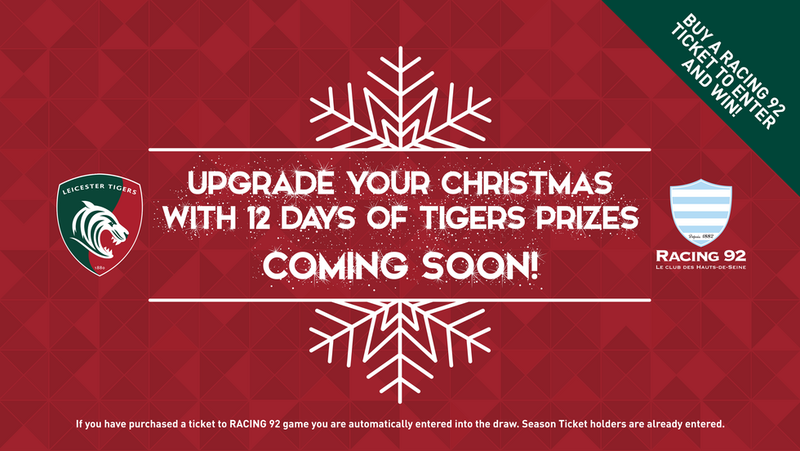 Christmas will come early for 12 lucky Leicester Tigers fans as we kick off our 12 days of Christmas prize draw from December 4. Fans who have bought tickets to Tigers Round 4 Heineken Champions Cup showdown with Racing 92 on Sunday, December 16 will be automatically entered into each of our festive draws. The club will be drawing one winner each day in the build-up to Tigers next home game with 12 incredible prizes for fans to enjoy when Tigers take on Racing 92. 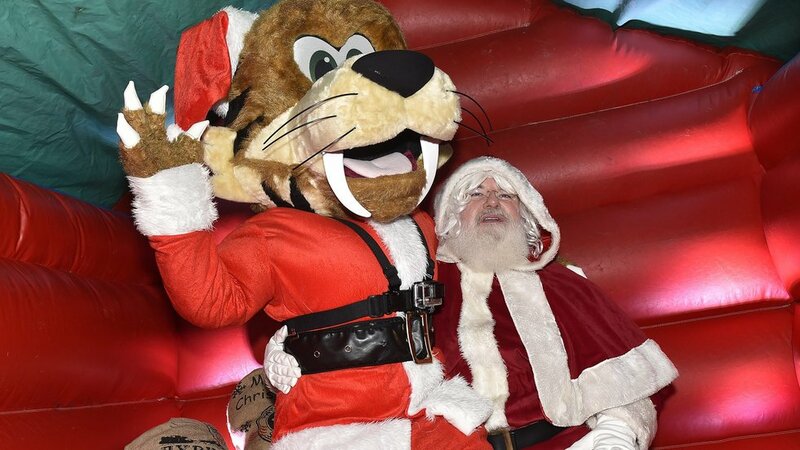 Top of the bill includes the chance to watch and meet the Tigers first team the day before matchday (Saturday, December 15) as they take part in their team run at Welford Road. You’ll get the chance to meet watch the lad’s final preparations, as well as enjoy a lunch for 10 in your own hospitality box and a behind-the-scenes tour of the stadium. To be in with a chance of winning, simply purchase at least one matchday ticket to Tigers v Racing 92. Winners will be announced at 5.00pm each day from December 4 until December 15 and will be drawn from all tickets bought up until the midnight the day before. Prizes can only be claimed at the Tigers v Racing 92 game and are non-transferable. 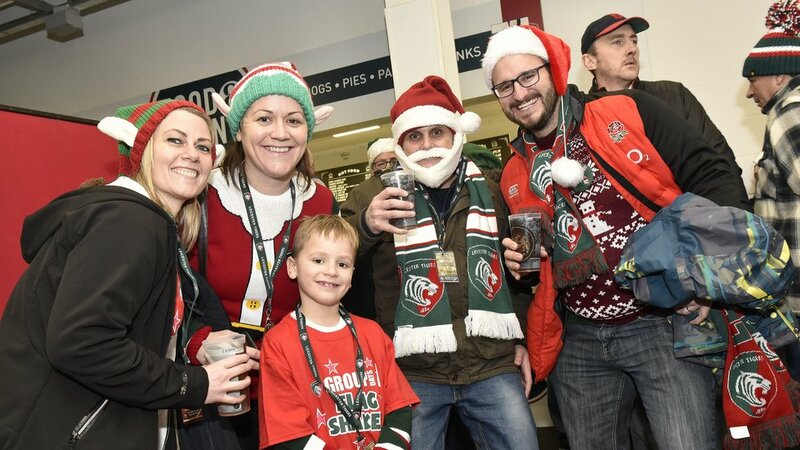 There will be a host of Christmas themed-activities, refreshments and events at Tigers final two home fixtures of 2018 against Racing 92 and Harlequins (Saturday, December 22 3.00). Fans can also enjoy savings on match tickets for Racing 92 with our ‘kids for a quid’ offer as well as the chance for season ticket holders to claim a FREE additional match ticket. To book your match tickets, hit the link below or get in touch with the Tigers ticket office on 0116 319 8888 (option 2).